Bialystock and Bloom! Those names should strike terror and hysteria in anyone familiar with Mel Brooks' classic cult comedy film. Now as a big Broadway musical, The Producers once again sets the standard for modern, outrageous, in-your-face humor. It is a truly "boffo" hit, winning a record twelve Tony Awards and wowing capacity crowds night after night. 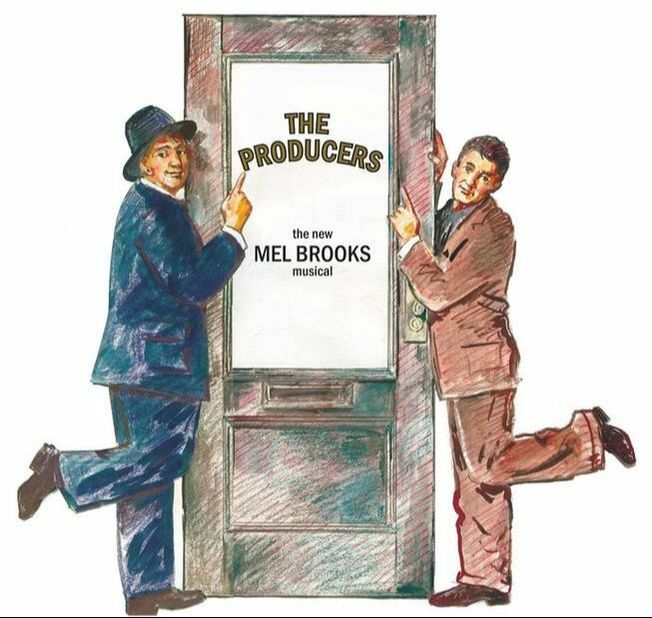 The plot is simple: a down-on-his-luck Broadway producer and his mild-mannered accountant come up with a scheme to produce the most notorious flop in history, thereby bilking their backers out of millions of dollars. Only one thing goes awry: the show is a smash hit! The antics of Max Bialystock and Leo Bloom as they maneuver their way fecklessly through finding a show (the gloriously offensive "Springtime for Hitler"), hiring a director, and raising the money and is a lesson in broad comic construction.